ANC Chief Whip Jackson Mthembu has confirmed on Twitter that his daughter has died. He tweeted on Wednesday morning that his eldest daughter, Khwezi Mthembu, 25, took her own life at their parliamentary village home in Cape Town. "We are in deep pain. We don't know what led her to take her own life at such a tender age of 25 years," he said on Twitter. Mthembu has previously expressed his devastation by his firstborn son who was addicted to drugs. In 2011, he opened up about his son’s drug addiction during a radio interview and said he had sent him to several rehabilitation centres without success. In an interview with 702 Mthembu said his son had been treated at least six times at addiction centres, and through counselling they had learned that his son had become an addict while in Grade 7. He also in another interview with 702 in 2017, spoke about his son's drug addiction,admitting that he had been an absent father and wanted to do better. The ANC said in a statement that it was saddened by the news. "The loss of a life so young and promising is tragic and no parent deserves the pain of losing a child at the prime of her life. 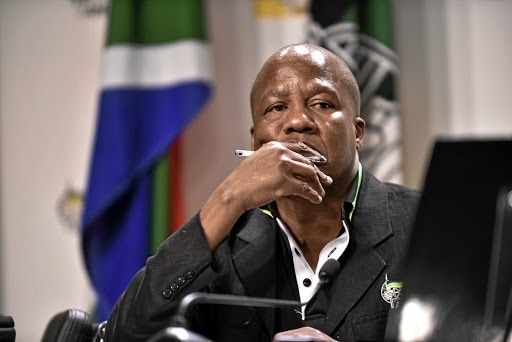 The ANC conveys its deepest condolences to the Mthembu family, and we will keep them in our thoughts and prayers in their time of grief," acting national spokesperson, Dakota Legoete said in a statement. The ANC in the Western Cape also sent its condolences to Mthembu's family. "Our thoughts and sympathies are with the Mthembu family and as we extend our heartfelt condolences to them, we ask that they are given space to mourn their loss," spokesperson Dennis Cruywagen said in a statement. Democratic Alliance leader Mmusi Maimane sent a message of condolence in reply to Mthembu's announcement, setting aside political differences, referring to him as "[m]y brother and fellow MP" in his tweet. My brother and fellow MP. No words can describe, no parent should ever bury their own child. I send you my deepest condolences to you and your family. You are in my prayers.